But if you suspect that an insurance company isn’t negotiating with you in good faith, what can you do? Your insurance policy is a promise that you’ve paid for – a promise by your insurance company to provide you with insurance coverage when you need it. 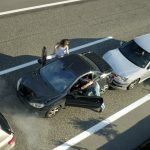 Although the details of bad faith laws differ from state to state, the basic rule is that an insurance company must not look for ways to get out of its obligation to investigate your claim or to pay your claim. Each state regulates its insurance industry and insurance policies with precise legal requirements for starting and operating insurance companies, and most states have a “division” or “department” of insurance which enforces those regulations. 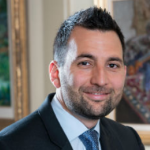 When an insurance company does not take its own obligations to its policyholders seriously, you may have adequate grounds for legal action against the company – an insurance bad faith claim. Bad faith claims may arise from the specific actions or inactions of an insurance company. In Southern California, when an insurance company fails to meet its responsibilities, you may need to discuss your situation with an experienced Pasadena personal injury attorney. An auto insurance company has a number of legal obligations to its policyholders. Even a “third party” insurance company owes good faith to every injury victim who files a claim, but that duty is slightly less than the good faith that your own insurance company owes you, since you’ve actually purchased a policy from the company in advance of making any claim. Thus, legal grounds for a claim of bad faith against a third party’s insurance company exist only if the company – or the adjuster representing the company – has deceived the claimant or interfered with the claim (for example, by withholding evidence or tampering with a witness). CAN WRITING A LETTER TO THE COMPANY HELP? When considering your own insurance company, a difference of opinion between you and an adjuster regarding the value of your claim probably does not constitute bad faith. But if the adjuster or company makes a low settlement offer and offers no reason for the low amount, or if the company has deceived you or otherwise treated you unfairly or unjustly, you might be a victim of insurance bad faith. If you believe that an insurance company or an adjuster is negotiating with you in bad faith, simply writing a letter to the company – or having your attorney write a letter – may result in some action. If you write a letter to the insurance company, use the phrase “bad faith” and provide specific examples of the adjuster’s bad faith. A letter accusing the insurance company of bad faith often results in some action – and in a better settlement offer. In other words, just the possibility of a legal claim may be enough to compel the insurance company to offer you a reasonable settlement. That’s because if you take an insurance company to court for bad faith – and you win – the insurance company could be ordered to pay you for damages beyond the amount of your claim, especially if the company’s conduct was particularly egregious. Like every other company, an insurance company is in business to earn profits. When insurance companies faithfully provide the services they claim to offer, profits are fine, but no insurance company should ever be permitted to place profits above the legitimate claims of traffic collision victims. 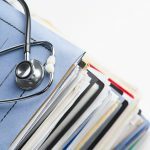 When an injury claim is rejected, undervalued, or delayed for no good reason, it can lead to serious financial burdens for injured policyholders who may be unable to work at the same time their medical expenses are piling up. Historically in California, insurance companies maintained that it was bad faith to deny a claim only when the insurer already knew that there was no reasonable basis for denying the claim. That is, the companies claimed that only the intentional mistreatment of a policyholder should be legally actionable. The insurance companies insisted that unintentional negligence in the handling of a claim did not constitute bad faith. 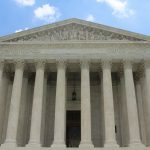 In 1979, in the case Egan v. Mutual of Omaha, the California Supreme Court rejected that argument and determined that an insurance company’s negligence in the handling of a claim, in fact, does constitute bad faith. HOW CAN YOU KNOW IF YOU ARE A VICTIM? How can you know if you are a victim of insurance bad faith? You can file a complaint with the California Department of Insurance, but only by hiring an experienced personal injury attorney who routinely handles insurance bad faith cases will you be able to know if the insurer’s actions legally constitute bad faith and whether or not you have a case. 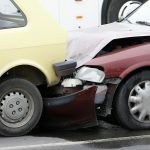 In most states, if you sue an insurer for bad faith, you’ll have to finance the lawsuit yourself, but in California, the plaintiff who prevails in a bad faith action may be able to recover part of the attorney fees separately and in addition to the judgment for the original injury claim. In Southern California, if an insurance company negotiates with you in bad faith, you’ll need to be represented by an experienced Pasadena personal injury attorney who routinely and successfully represents the victims of insurance bad faith. Especially if you are recuperating from injuries, the last thing you need is an insurance company making your life even more difficult. All policyholders have the right to be treated with good faith by their insurance companies.